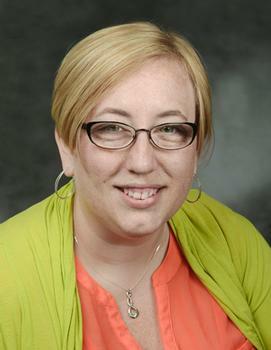 Kayla graduated in 2002 with her BS in Design Technology from Bemidji State University in Minnesota. Her time as an undergraduate ignited her passion for student affairs and student success. She completed her masters of Science degree from UND in Higher Education, in May of 2016, from the University of North Dakota. She joined the UND family in the spring of 2004 and has found her passion within academic advising and serving the students of UND. She believes in a more holistic approach to advising students -- looking at the whole picture to help student find their path and accomplish their academic goals. She is an advocate for students, but is a believer in helping students develop advocate skills for themselves to help them beyond their time in college. Her door is always open and is happy to help in any way she can. In the Dean’s office, Kayla is the Lead Academic Advisor for the College of Arts & Sciences, providing general academic advising and mentoring for students and faculty within the college. She answers questions regarding degree requirements, transfer coursework, and Essential Studies curriculum. She also helps to evaluate transcripts and determine eligibility for graduation, develops progress reports, and assists with other student needs. Kayla’s assigned caseload for advising includes majors in Pre-Criminal Justice , Forensic Science, Social Science, Pre-Law students, as well as Continuing Education (online & distance education). To make an appointment with Kayla you may use Starfish for access to her calendar and to schedule the appointment. To schedule an appointment with her please login to Starfish: https://und.starfishsolutions.com/starfish-ops/support/login.html, select “Services,” scroll down and click the blue bar “College of Arts & Sciences” and then when you find Kayla’s name select the link “Schedule an appointment”. If you have difficulties navigating Starfish you may schedule an appointment by calling the CAS Advising & Academic Success Office at 701-777-4974.